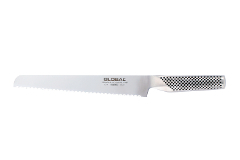 Global has a reputation for excellence in cutlery. 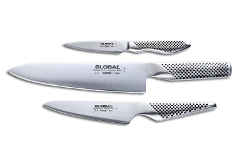 Their knives are sold in 86 countries as the world recognizes fine cutlery. 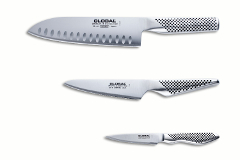 Their unique design sets them apart from all other knife lines. 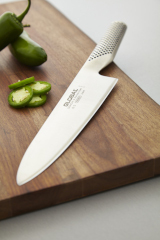 Most western knife makers are sharpened to a beveled edge. 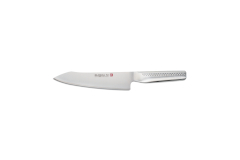 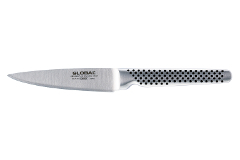 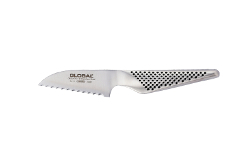 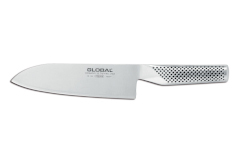 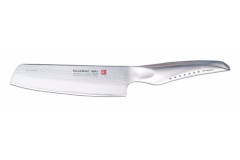 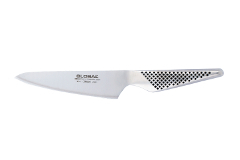 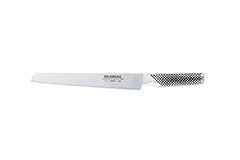 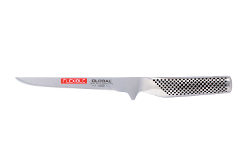 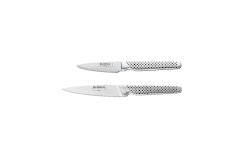 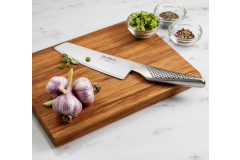 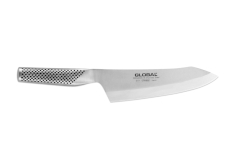 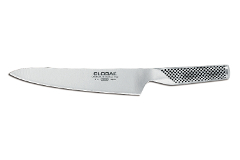 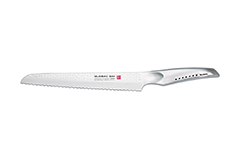 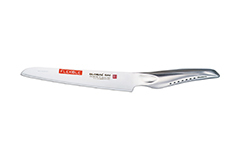 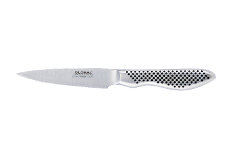 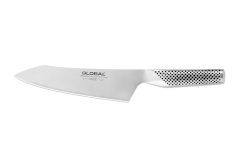 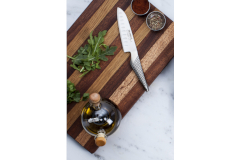 Global knives are actually ground on both sides, so the blade tapers narrower and narrower right to the edge. 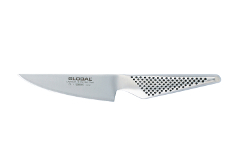 If you were to look at a cross section of a blade you would see a very narrow triangle. 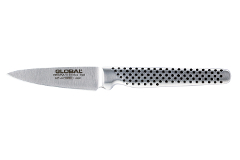 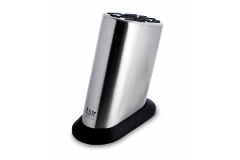 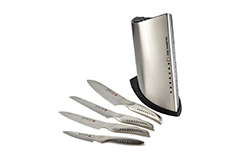 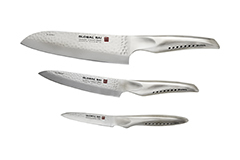 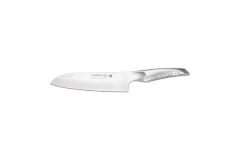 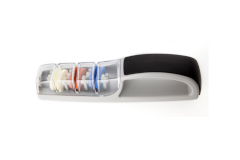 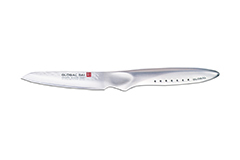 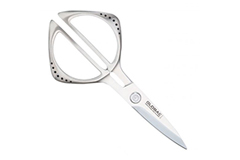 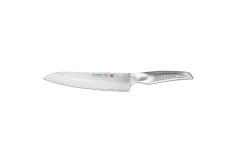 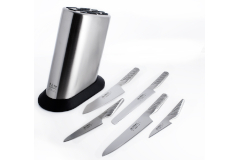 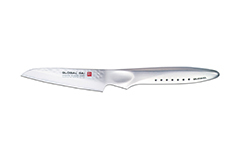 This design makes Global knives extremely sharp and easy to sharpen when needed.